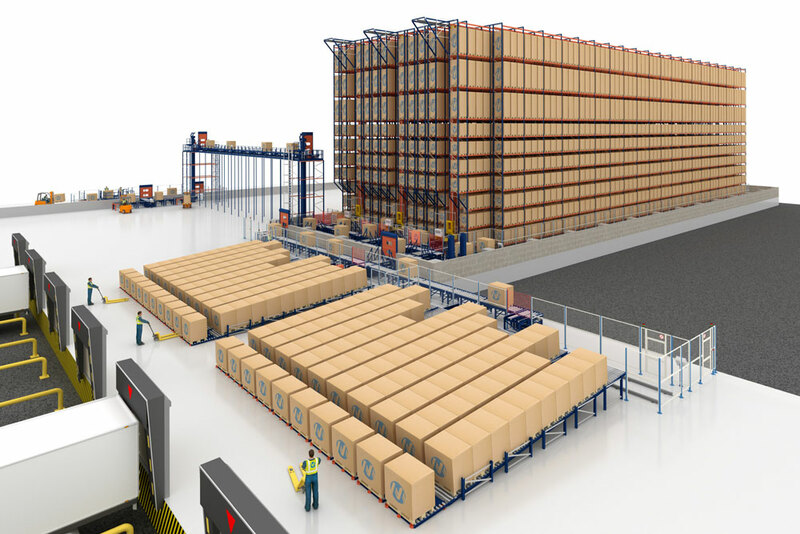 Mecalux will build an automated warehouse for pallets for the international plastic packaging manufacturer Jokey. The warehouse, which will have a storage capacity of more than 7,400 pallets and will stand 22 m high, will be linked to the production plant via conveyors. Operations will be run by the Easy WMS warehouse management system of Mecalux. The automated warehouse will consist of three 79 m long storage aisles with double-depth racks on both sides and ten load levels. A single-mast stacker crane with telescopic forks will circulate in each aisle to gain access to the second pallet in all the storage locations. Goods flowing from production will be transferred to the automated warehouse crossing a raised overpass containing conveyors that will free up space on the ground floor. Lifts will be installed on both ends of the overpass to take pallets to the corresponding level so that they flow onto the conveyors again. A transfer car will be set up in the preloading area. Its job will be to deposit pallets ready to be shipped out on one of the 20 live conveyor lines, capable of sorting up to 12 pallets according to their destination or route. All of this is managed by the Easy WMS warehouse management software implemented by Mecalux. Founded in 1968, Jokey Group is one of the primary plastic packaging manufacturers for food and non-food related products internationally. With a team of more than 1,900 employees, the company owns and operates 15 production centres around the world and serves customers in more than 80 countries, offering high-quality and 100% recycled packaging. Its professionalism has been recognised by the EU Commission, on more than six occasions, as one of the 500 fastest growing European businesses.